Use a flipchart sheet or large piece of paper and draw out a 3 x 3 Ease and Effect Grid. Use the vertical for “Ease” and split this into the three categories “Easy”, Medium” and Difficult. Use the horizontal for “Effect” and split this into the three categories “High”, “Medium” and “Low”. After each idea has been reviewed and ranked, place the sticky note in one of the nine boxes, based on its “Ease” and “Effect” rating. Keep track of progress using a simple traffic light (RAG) system – ideas that you haven’t yet started are coloured Red, ideas that you’re currently working on are coloured Amber and ideas that have been completed are colured Green. 1. Grasp the Current Situation. A full understanding – by all team members – of the current situation, is the essential starting point for any improvement activity. Questions to ask might include: Exactly where are we now? What are we trying to do here? What is our purpose, our mission? How do we add value for our customers? Honestly, how are we performing now? Are our measurement systems capable of telling us? Are we collecting (only) the right information to help us to make decisions and to take action? 2. Achieve Stability. What are the most important processes in your business? How do you develop new products or services? How do you deliver them? How do you plan, execute and measure the vital few? How do you manage your people, from cradle to grave? Are these processes capable, under control and stable? How do you sustain “One Best Way”: do you provide clear instruction, effective training, regular monitoring, wide-spread mistake-proofing? 3. 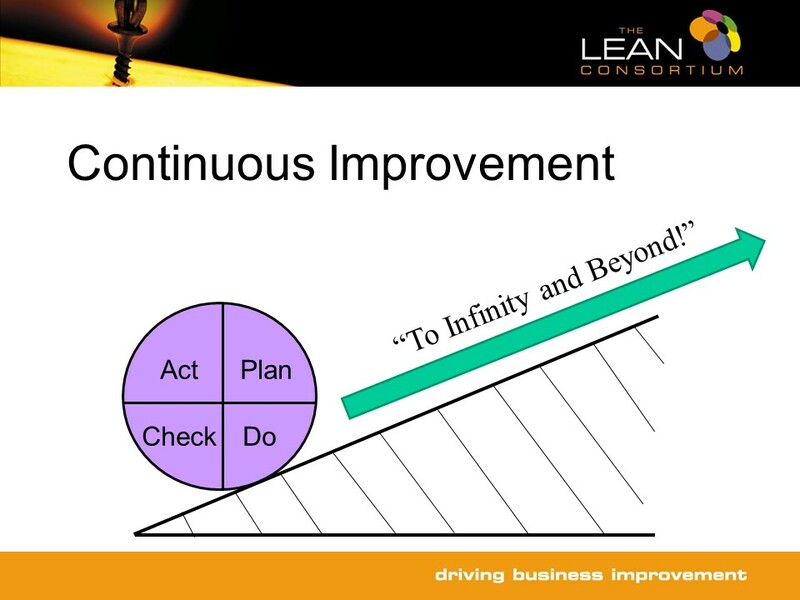 Implement Lean. Only now can you begin to change the way you work, with a real prospect of success and sustained improvement. Once you have stable, repeatable processes you can analyse them and find ways to do them better. With the right tools and support the team can simplify and streamline the processes so that you become more efficient and more productive, and achieve better outcomes. The detail of how to do it – and the exact tools to use – are gained only through years of experience. If you don’t yet have that experience you’ll need to hire it in, but make sure that you coach your people so that they “learn by doing”. By following this approach, and by rigorously following the PDCA Improvement Cycle (Plan-Do-Check-Act), you can genuinely transform your organisation and make Continuous Improvement a way of life. Lean Start-Ups: are they possible? It is important to keep it simple and stay organised. This can be achieved by adopting Lean 5S principles, which is a system to reduce waste and optimise productivity through maintaining an orderly workplace and using visual cues. This includes making sure anyone can find anything quickly and easily. Keep things simple and visual – can people easily see at a glance what’s OK and what isn’t? Employees should be made aware of how they fit into the company structure and what their contribution needs to be to make the business run smoothly, effectively and efficiently. Next draw up a grid with the roles along one side and people’s names along the other. For each job show with an R who is Responsible, with a D who Deputises, and with an A who Assists so employees know at a glance what their duties are. Regular communication is key. For at least one hour each week talk about what’s going well, what’s not going well and what ideas you have to make things better. By consensus, pick one improvement idea that is easiest to implement, has the highest impact and is affordable. Agree who will make it happen, and when, and get on with it. Hire slowly, fire quickly. Be clear about values, expectations, Do’s and Don’ts. With new staff, have a one-to-one review for 15 minutes each day, then one hour per week, then one hour per month. Make a conscious decision to retain or part company at the end of the first day, the first week, the first month. If it isn’t working in the first month, it probably never will. Let people take risks, make mistakes and fail, but expect them to learn and not to repeat their mistakes. 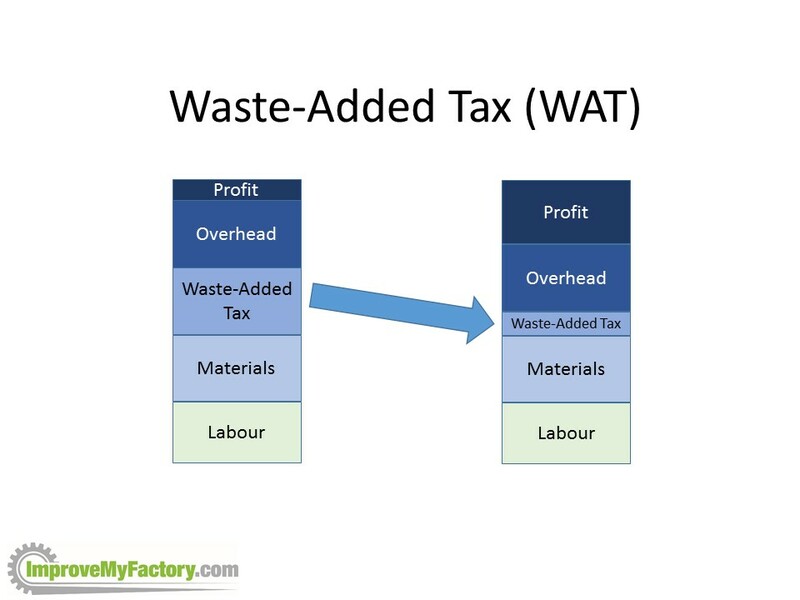 Do the absolute minimum required to add value for the customer – everything else is waste. Keep it simple, keep it electronic, and automate it. Store data in only one place, share it and organise it so that anyone can easily find what they need. Seriously consider scalable, cloud-based “pay as you go” systems. Use non-proprietary open systems where you can. Similarly, do the absolute minimum that you need to do with a new product or process to see if it works. This is what Silicon Valley entrepreneur Eric Ries calls the MVP – the Minimum Viable Prototype. Experiment quickly, fail early, learn as you go and keep on learning. 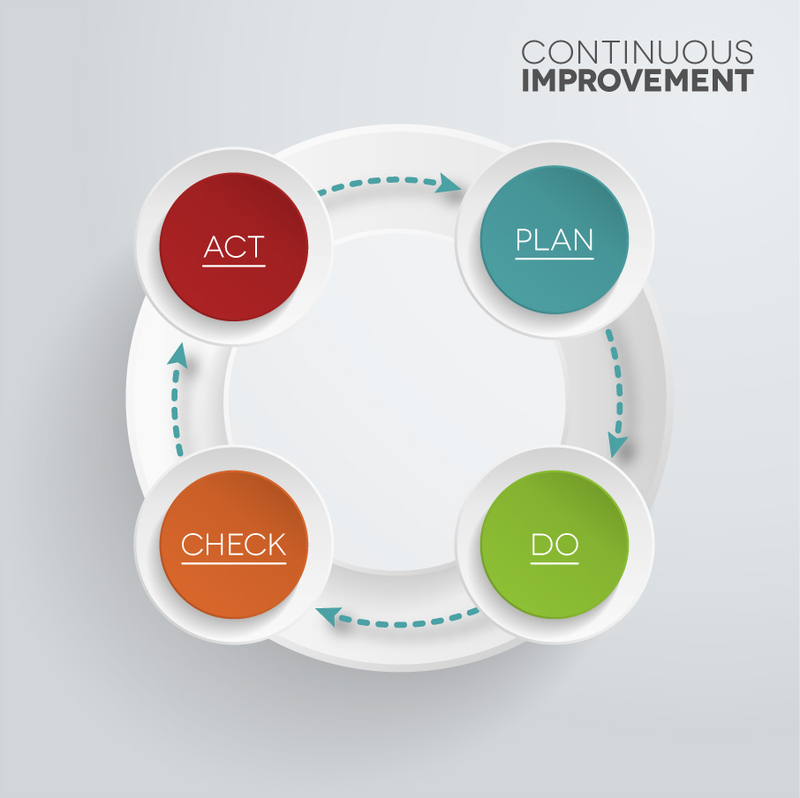 The key to Lean is the improvement cycle Plan-Do-Check-Act. In a start-up the most important thing is to get along the learning curve as quickly as you can. Therefore, you need to cycle through these stages as quickly as you can. You’ll need some sort of plan to start with, but also be prepared to be flexible. This is because the reality is likely to be different from your original plan, so you have to learn as you go. Have a tight control on costs by keeping fixed overheads to a minimum, outsourcing non-core tasks, “paying as you go” and avoiding long-term tie-ins. Manage the cash every day, without fail. This can be easily one by using a simple spreadsheet. 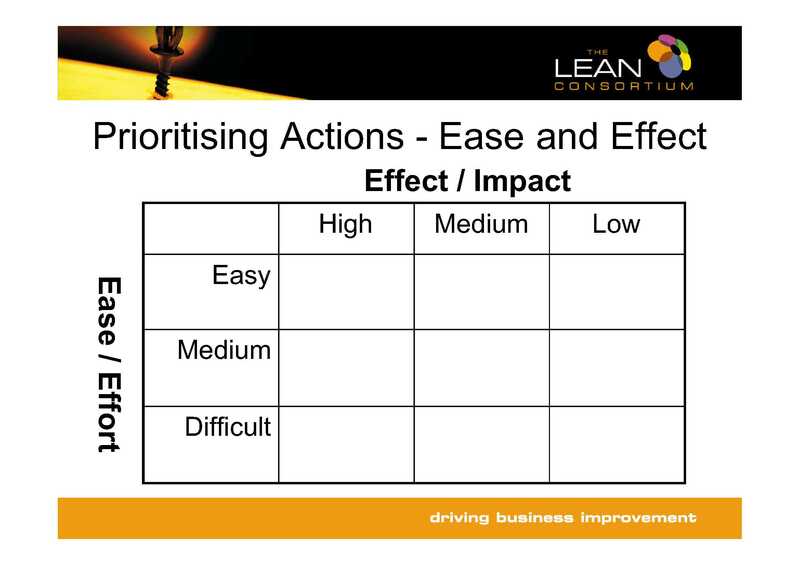 The Lean process is all about keeping it simple, focusing on what matters, learning quickly what works and having the courage to ditch what doesn’t. What good is Time Study Data anyway? How times change! When I first started out many manufacturers employed highly trained full-time Work Study / Industrial Engineers and developed actual or synthetic Standard Times down to the decimal minute. And let’s not forget that Taichi Ohno and many of his Toyota colleagues were also highly trained Industrial Engineers! Very few organisations take that approach these days, and in my view have often gone too far away from facts, data and measures when it comes to labour times and costs. One of the (sensible) reasons for this is of course the fact that fewer and fewer manufacturers in developed economies actually manufacture high volumes of standard products where labour costs are critical and need to be measured very accurately. There are obvious exceptions of course, like automotive (Nissan’s UK plant here used to work to Takt times of around 1 minute). BUT – and it’s a big BUT… Lean focuses mainly on all of that non-value-added time (often more than 90% of total lead-time) eaten up the Seven Wastes, rather than on the Value-Added activities that you’d be timing. In practice I always involve the team, train them in basic Lean Awareness (20-30 mins on Lean and the Seven Wastes is OK), and help them come up with estimated times. I don’t aim to train them in Work Study techniques as well but I do always emphasise one of the basic points about arriving at a Standard Time – it’s the time that a competent trained operator can be expected to maintain over a full shift, day in, day out. So any observed times have to include a “rating” of the operator’s performance, and the observed times adjusted accordingly. Before getting into the detal it’s usually possible to make a start by collecting some “gross / total” data on output rates and number of operators to arrive at some overall averages of labour content. Observing the work flow, looking for imbalances and estimating operator performances can then lead to some useful work with the team on line balancing, standard work, waste reduction, mistake-proofing, One Best Way and all of the other good Lean stuff (we’ve a blog post on the “people side of improvement” athttps://manufacturingtimes.co.uk/2011/07/09/increase-factory-output-part-3-targets-feedback-recognition-and-reward/ ). Generally, this will lead to massive improvements in output and productivity, without any increase in worker effort, and for most instances that is all that the organisation wants / needs. Occasionally though – and in my experience this is fairly rare – you can reach a point where you have developed a fairly “Lean” operation but it’s obvious that operator performance levels are pretty low (I’ve seen 20-50% levels). If at that point you’re in an environment where labour costs are highly significant then that’s when I do actually bring in the highly trained Work Study Engineers and develop more accurate Standard Times. This is an expensive exercise so often the objective will be to create a database of “synthetic” / parametric (“formula-based”) times that the client team can then manage themselves. For what it’s worth – I’ve always employed (Industrial) Engineers and trained them in Lean, rather than the other way round. But as an Engineer myself maybe I’m a little biased!